Make time for yourself! Relax, Rejuvenate, Refresh, Enjoy, Nourish Renew! Experience the aura of Soho in our quaint Long Island Day Spa. We provide a truly personalized spa experience, and believe in building relationships with our clients that will last a lifetime. Oliver West Day Spa provides the highest quality services and products in a relaxed and peaceful environment. We constantly exceed expectations, and never compromise the quality or integrity of our services. We are a long standing member of the Greater Sayville Chamber of Commerce, an innovative group that will keep “Downtown Sayville” thriving. Come relax with us and we will introduce you to our town. Before opening Oliver West Day Spa, Stephanie freelanced as a Make Up Artist and Stylist for Chanel, Lancome, House, Distinction, Home and Gardens, and House Beautiful magazines. She was selected to open the first Lancome Institut de Beautes on Long Island, and to be a contributing writer for Day Spa Magazine including the special September 2008 issue on the value of Silver and Gold treatments. Stephanie contributed to the Peninsula Hotel’s brochure for all their hotels worldwide, and has been sought out regularly for her expertise in the Spa business. 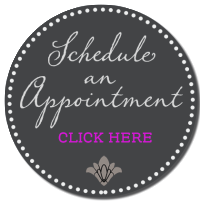 Stephanie is a New York State Licensed Cosmetologist, Aesthetician, and Lash Extensionist. She has been a popular Make Up Artist for 30 years, trained at the Lancome Institut de Beaute for Esthetics. She is certified in Microdermabrasion, All Peels (both Acid and Herbal), Light Therapy, Threading, Brazilian Waxing, Derma rolling, Lash Extensions, Lash & Brow Tint, Airbrush Make Up, Ionithermie Cellulite Treatment, and Body Wraps. As a wedding specialist Stephanie’s life and career experiences ensure to create a Bride’s ultimate vision of herself for her perfect moment in time. Erica began her career at a quaint spa in Bellport Village servicing both local and summer residents for nine years in order to grow in the esthetic field. She later made and an exciting decision to move to Sayville to join the Oliver West Team as a Make Up Artist and Lash Extensionist. Erica is a skin care and personal grooming specialist and clients have dubbed her the “Eyebrow Queen“ for her keen shaping skills. She takes careful consideration each individual’s facial architecture, creating the perfect frame for the eye. Erica is certified in Microdermabrasion, Herbal Green Peels, Lash Extensions and Brazilaian Waxing. She has taken massage techniques and married them to the unique treatments available at Oliver West Day Spa creating a specialized Aromatherapy Hand & Foot and Shoulder & Neck treatment while a mask nourishes your soon to be glowing complexion.